Long Island is an island known for being the longest and largest island bordering the United States in southeastern New York only a tad east of Manhattan. Long Island extends 120 miles into the Atlantic Ocean. There are four counties home in Long Island including Queens, Brooklyn, Nassau, and Suffolk. Reaching Long Island is by way of tunnels, bridges, and ferries. The maritime climate, topography, and the characteristics of the soil make the area perfect for producing wine grapes, which produce excellent wines. 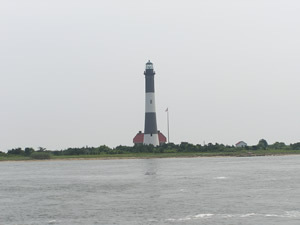 Long Island is a special place offering a wide variety of attractions, events, and beautiful countryside. Here celebrities, vacationers, and visitors come to lounge on the beaches, taste the wine, and enjoy the quaint villages. Long Island wine country has grown steadily over the last quarter of this century beginning with one vineyard to today more than 3,000 acres and more than 30 wineries creating world-class wines. Wine country encompasses Nassau County and Suffolk County with most of the vineyards and wineries home on the North Fork, South Fork, and on the East End. The techniques and methods used to create the delectable wines have been passed down from one generation to the next, which are now being combined with new technology to create a wide array of world-class wines including selected blends and specific varietals. Long Island wines have received awesome reviews, high praise, and are sought after by wine enthusiasts the world over. The wines can be found in fine restaurants and wine stores across the United States. For those that love the beauty of the vineyards as well as the chance to taste exquisite wines from Long Island, a tour of the region will be an exciting experience. Along with wine tasting and soaking in breath taking scenery there are many wonderful things to see and do in Long Island. There are cozy hotels, quaint bed & breakfast, delectable foods, and of course the beaches. There are several public beaches throughout Long Island offering guests magnificent views for any occasion. David Rosengarten, Food TV personality, cookbook author and food & wine writer, stated, "the enchanted East End of Long Island has become one of the world's great vineyard regions." Today Long Island is one of the most sought after locations for all kinds of special occasions including weddings whether the event is for a small intimate group or for a 1500 guests list there are several different locations to enjoy your wedding, anniversary, product launch, or business retreat. One attraction that may be perfect is a wedding or reception at a winery or at least a tour of the wine country during your honeymoon. With all the beautiful scenery found on Long Island you will easily be able to find the most romantic and beautiful spot in the world to say, "I do" as well as have the beauty of a vineyard, a pristine beach, or the sun setting over the ocean at twilight, as a backdrop to your wedding.